The Roth TSP option is about one year old now, and the option has become a surprisingly popular one. While the Roth TSP became operational in May last year, participants were able to invest in Roth TSP accounts in stages last summer and into the fall based on their department or branch of service. 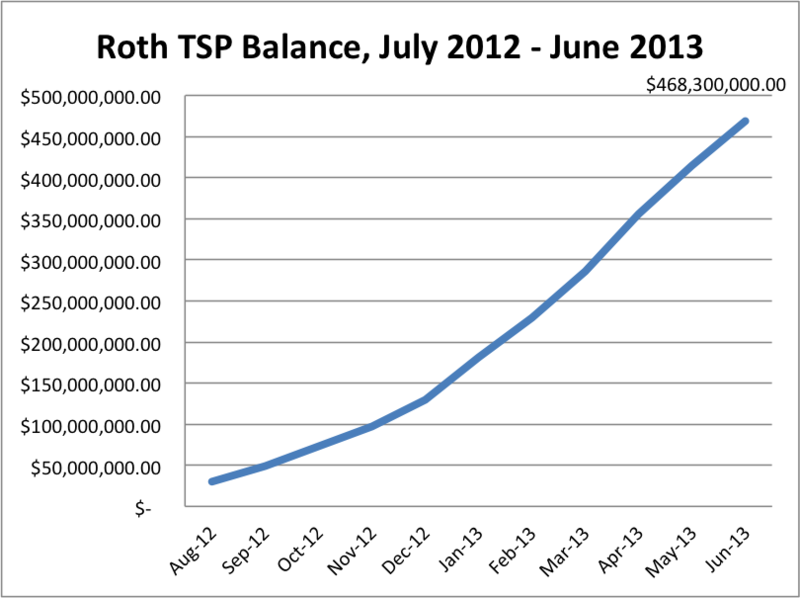 From nothing in May 2012, total Roth TSP assets have grown to over $468.3 million one year later, at the end of June 2013. The total number of accounts has grown to over 215,000 in one year. That includes 129,221 accounts held by civilian workers, and a surprising 85,879 accounts held by uniformed service personnel. There are just over 700,000 active military participants, compared to over 2.5 million non-separated civilian participants. Thus about 6% of non-separated participants contribute to Roth TSP accounts, with 12% of uniformed personnel contributing to Roth TSP accounts. Government matching contributions do not explain the difference, since matches are automatically deposited in a traditional TSP account. Rather, it is probably due to demographic differences, since uniformed personnel are primarily in their 20s, 30s, and early 40s, a majority of whom serve in the enlisted ranks. Over 40% of FERS personnel, in comparison, are over the age of 50. Thus FERS participants on average are older and, given longer government service, higher-paid.